Beyoncé, PHresher, Ed Sheeran, Alicia Keys, Kehlani, Skylar Grey, P!nk and X Ambassadors make guest appearances on the 19-track album, which has already yielded mixed reactions. Production is handled by Def Jam Recordings legend Rick Rubin, Mr. Porter, Alex Da Kid, Emile and Skylar Grey, among others. 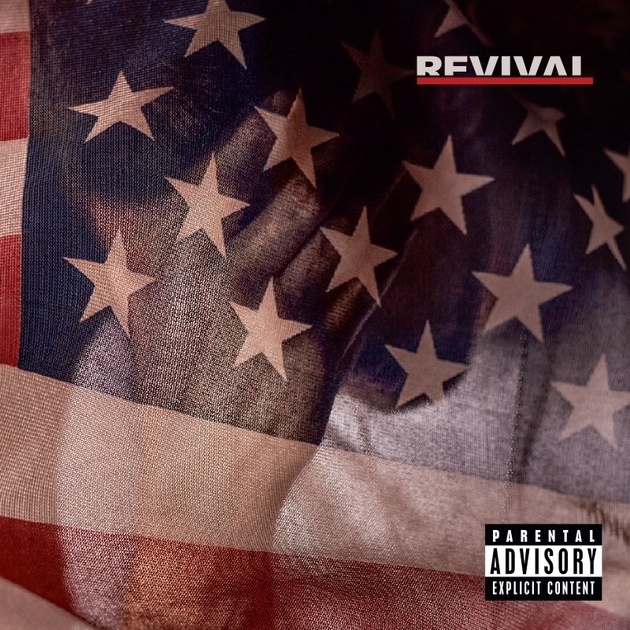 Check out the stream, cover art and tracklist for Revival below. Detroit got a special surprise when Eminem lit up the city with a projection of his Revival album’s cover art. A video of the scene was uploaded to Slim Shady’s official YouTube channel on Thursday (December 7). Stream “Untouchable” and check out the Revival cover art below. Boasting 19 tracks, the album features guest spots from Beyoncé, Phresher, Ed Sheeran, Alicia Keys, X Ambassadors, Skylar Grey, Kehlani and P!nk. Lead single “Walk On Water” featuring Queen Bey yielded mixed reactions and there has yet to be a second single from the project. 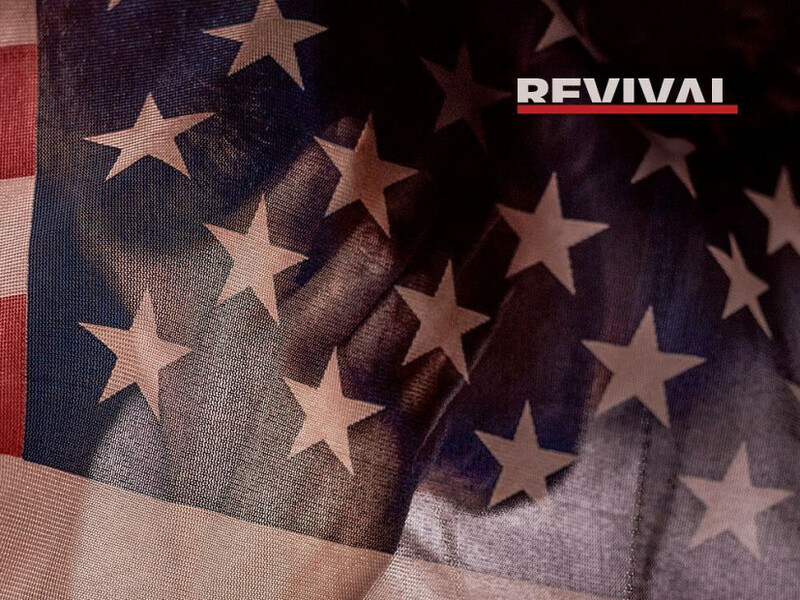 Revival serves as Em’s first album since 2013’s The Marshall Mathers LP 2 and ushers in the 45-year-old version of the Detroit rap god. During a recent appearance on Rick Rubin’s new podcast, Broken Record, Em told the Def Jam Recordings co-founder about the meaning behind “Walk On Water” and explained it was about “not being superman.” The pressure he feels to be a flawless MC is one of many topics he explores on the new 19-track effort. The rollout for the album has been intense. 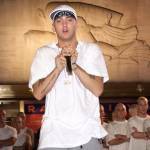 After a blistering attack on President Donald Trump in a video cypher for the 2017 BET Hip Hop Awards, Em and his team started cryptically teasing the album through a mysterious Instagram post from manager Paul Rosenberg and a fake prescription drug ad for Revival. The campaign for the project has kept Em fans busy trying to piece together everything from the release date to guest spots. Eminem recently picked up an award for Best Hip Hop Artist at the MTV EMAs in London and released new limited edition “Stan” merch on his website. Revival is expected to arrive on December 15, which Dr. Dre and Eminem confirmed last week. Check out the tracklist above.